Swastik Weddings, Kolkata is into wedding management and has a vast network of wedding industry contacts which enables us to gain ideas and valuable knowledge on all aspects of the event planning process. Their team comprises of highly dedicated professionals and is committed to delivering the best in this business. By choosing Swastik Weddings for your special day you can expect meticulous attention to detail, creative ideas, professional and a stress-free service. This ensures you to enjoy the magical build up to your big day.​ From traditional weddings to every event they plan is unique. Their planners and designers listen to your ideas and think of the best ways to translate them into reality making each event is different from the other. Each theme/idea is researched and presented to you duly taking into account your wishes and of course your budget. They have built their reputation by making the events adorable in every occasion and working with the best suppliers to deliver a fantastic entertainment. They are committed to offering you the highest level of service to ensure the occasion is not just memorable but a spectacular experience that you and your guests will never forget. 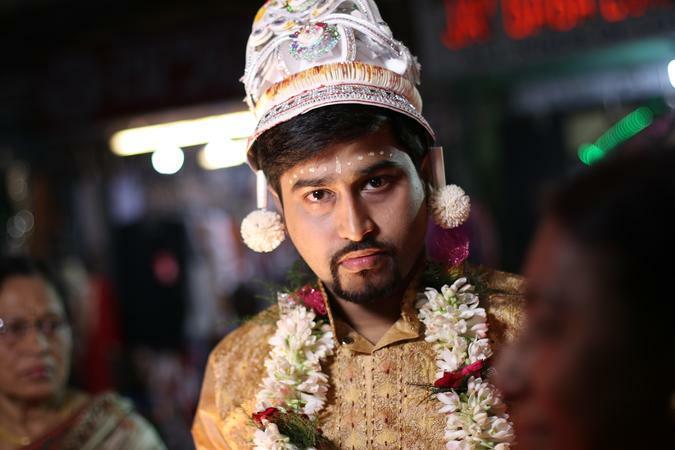 Swastik Weddings, Kolkata also take great pleasure in arranging the following events apart from the wedding services which includes Engagements, Birthdays, Anniversaries, Cocktail parties and Corporate events too. Swastik Weddings is a wedding planner based out of Dunlop, Kolkata . Swastik Weddings's telephone number is 76-66-77-88-99, Swastik Weddings website address is https://swastikweddings.com, Facebook page is Swastik Weddings and address is 2/D Matri Mandir Lane . In terms of pricing Swastik Weddings offers various packages starting at Rs 500000/-. There are 0 albums here at Weddingz -- suggest you have a look. Call weddingz.in to book Swastik Weddings at guaranteed prices and with peace of mind. Transportation charges included in package when event is in Kolkata. Transportation charges will have to be paid by client when event is outside Kolkata.